Tonight On Once Upon A Time In Wonderland: "Who's Alice?" 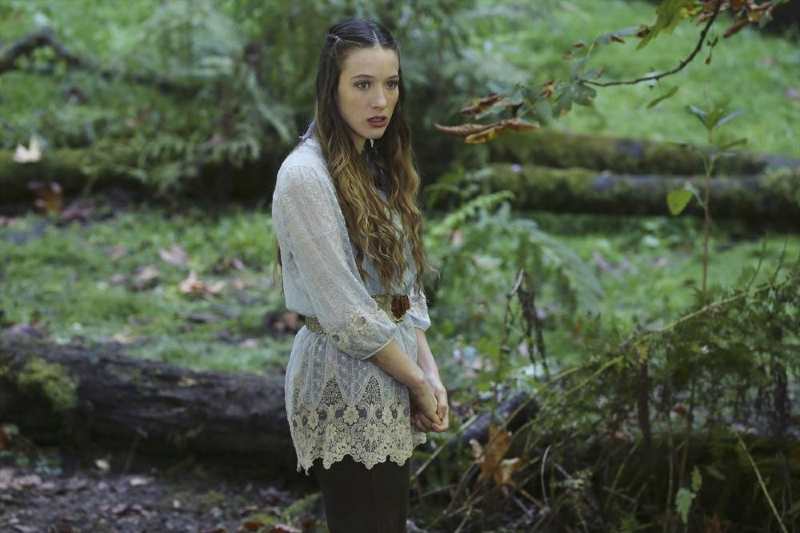 Images and description for the Once Upon A Time In Wonderland episode Who's Alice? ABC airs a new episode of Once Upon A Time In Wonderland tonight (November 21) at 8PM (ET). The title of the episode is “Who’s Alice,” and if you’d like to talk about it live with other fans while it’s on, you can come by our forum. “Who’s Alice” -Jafar pays a visit to the Asylum and Dr. Lydgate to uncover information about Alice, while in Wonderland, Alice heads to the Black Forest on her quest. Meanwhile, the Knave is awakened by magic with the help of an unlikely ally and he goes in search of Alice only to find her in terrible danger, and Cyrus does his best to evade the Red Queen. In flashback, Alice returns to Victorian England and her father after losing Cyrus, on “Once Upon a Time in Wonderland,” THURSDAY, NOVEMBER 21 (8:00-9:00 p.m., ET) on the ABC Television Network. “Who’s Alice” guest stars include Johnny Coyne as Dr. Lydgate, John Prowse as Carpenter, Shaun Smyth as Edwin, Matty Finochio as Tweedle #1, Brian George as Old Prisoner, Heather Doerksen as Sarah, Kylie Rogers as Millie, Hesham Hannoud as Ghazi, Troy Young as Painter, Kerry van der Griend as Thief #1, Sean Owen Roberts as Thief #2, John R. Taylor as Old Peddler and Dallas Sauer as Young Man. “Who’s Alice” was written by Jerome Schwartz and directed by Ron Underwood.